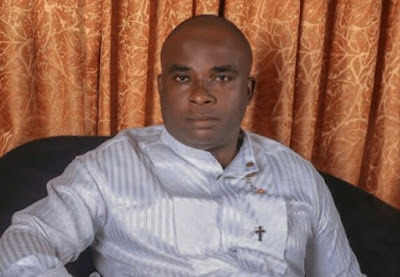 The Rivers State governorship candidate of the African Action Congress (AAC), Biokpomabo Awara, yesterday claimed to know why top officials of the Independent National Electoral Commission (INEC) are foisting Governor Nyesom Wike of the Peoples Democratic Party (PDP) on the people. Speaking on a local radio, Awara alleged that the INEC leadership returned Wike as the governor to prevent him from being probed for his actions when he held the forte in the Education Ministry as minister. He named INEC Chairman Prof. Mahmood Yakubu; the National Commissioner in charge of Rivers, Bayelsa and Edo states, May Agbamuche-Mbu; Rivers REC Obo Effanga and Administrative Secretary in the state Elder Etim Umoh as those offering Wike cover. According to him, his agent Dr. Lawrence Chuku was denied access into the collation centre AAC’s governorship candidate also accused INEC’s officials at the collation centre while Nenye Kocha, whom he accused of impersonating the AAC was allowed into the collation venue on Aba Road, Port Harcourt. Awara said: “I have the unit by unit results of the March 9, 2019 elections in Rivers State. When they observed that I was leading and they saw the danger coming, they quickly moved on March 10 to save Wike, by suspending the collation of the results, which they resumed on April 1. As at the time the collation was suspended, I had 281,000 votes, as against Wike’s 79,000 votes. So, they (INEC officials) quickly came to his rescue. “We (AAC leaders) have written a petition on the electoral fraud in Rivers State to the INEC chairman, stating the actual results, but Prof. Yakubu will not take action. “Kocha is not the collation agent of AAC in INEC office, Port Harcourt. Dr. Chuku is the duly-nominated collation agent of AAC, but he was prevented by security personnel at the gate of INEC’s office in Port Harcourt from moving to the collation centre. All Progressives Congress (APC) chieftain in the state, Eze Chukwuemeka Eze, stated that the results would not stand the test of time. He urged Wike and his supporters not to rejoice yet.